Something that I always struggle with is classroom organization. 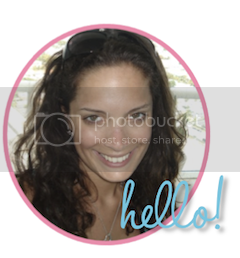 Like most teachers, I just have SO MUCH STUFF! Today I stumbled upon Ladybug's Teacher Files and I loveee it! 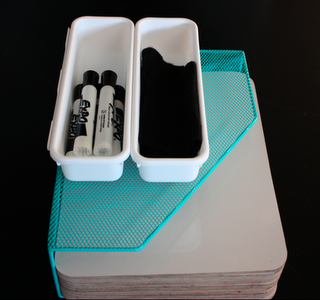 Kristen has tons of inexpensive and ingenious storage and organization ideas like this white board holder. She made it out of a magazine rack and two kitchen storage bins from Target. I love how it keeps everything in one place! 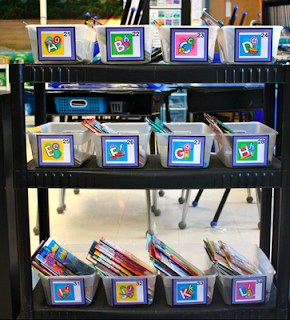 Another amazing organization idea is her Leveled Book Bins and Labels. I am sure that those kids know exactly where every single book belongs, and plus it is adorable!